What’s the Project? 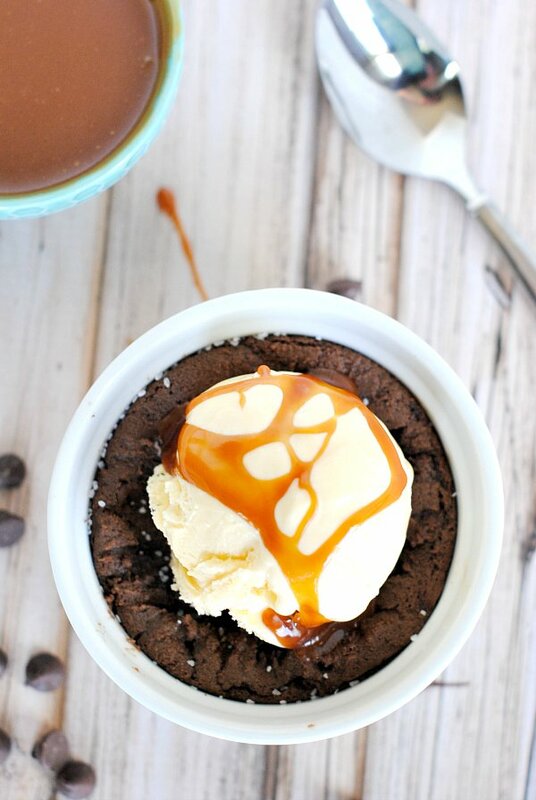 This chocolate salted caramel pizookie recipe is one of the best desserts you’ll ever eat! A warm chocolate cookie, not quite baked completely, topped with vanilla ice cream and drizzled with salt then sprinkled with caramel. It will make you drool! This week I decided that it’s time to try to eat a little healthier. And then on a whim I made this. Healthier just isn’t going to happen in my world. I like my treats and I like baking WAY too much. But on the plus side, I just had a few bites of this and then moved on with my life. 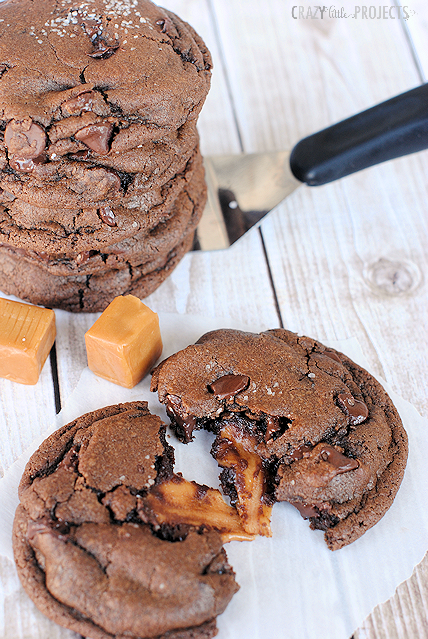 The other good news is that just a few bites of this amazing Chocolate Salted Caramel Pizookie Recipe will leave you very happy. 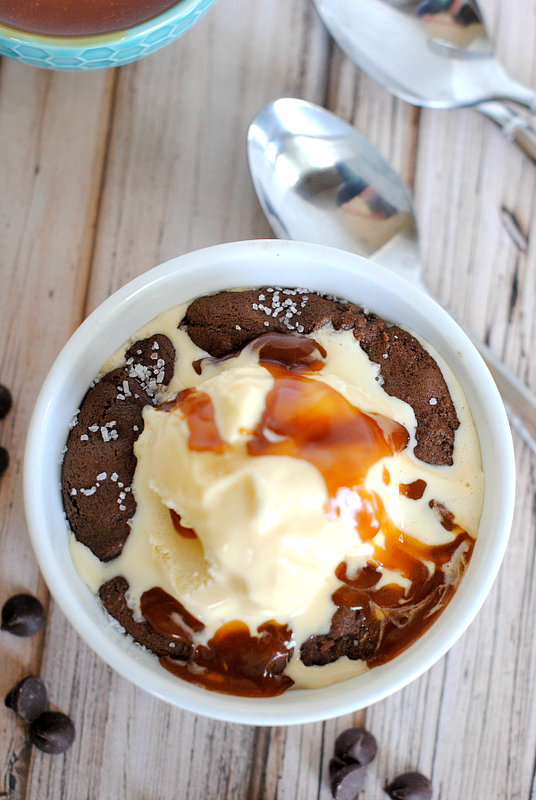 It’s gooey, it’s decadent and it tastes amazing! And then the ice cream gets all melty and yummy! I don’t need to convince you, do I? 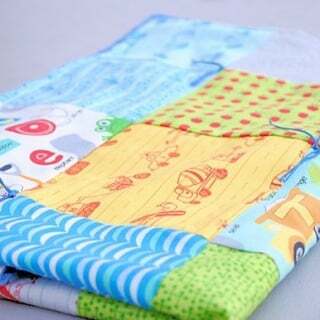 You want to make this. I know you do. Mix ingredients just like you would to make cookies. Mix till well combined. Fill each ramekin about half way with cookie dough. Place in oven on a cookie sheet and bake 11-14 minutes. Sides should be getting crispy but the center should still be soft and gooey. 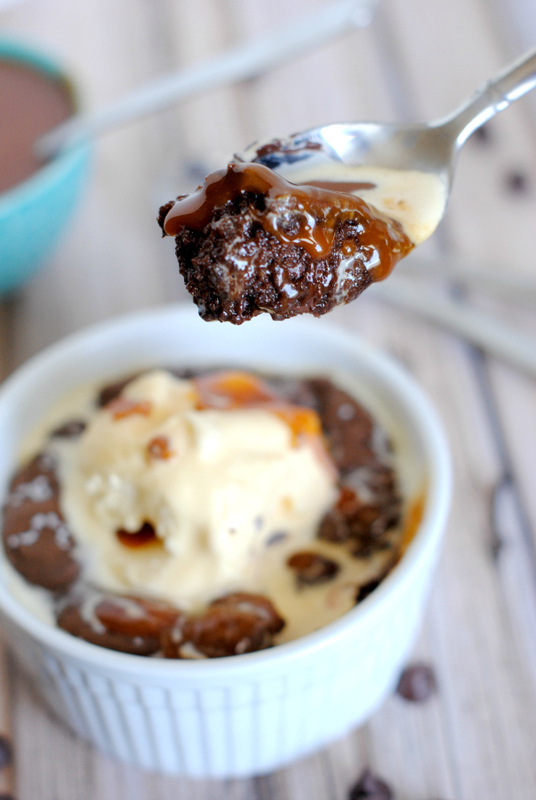 Remove from oven and sprinkle with salt (optional) top with ice cream, drizzle with caramel (see recipe below) and serve immediately. 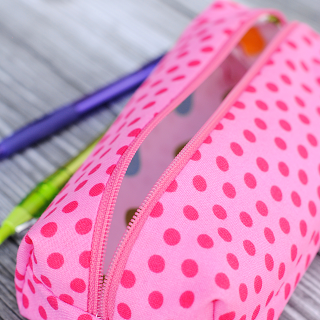 Read through all of these instructions before you begin so that you are prepared because you need to move fast. Pour sugar into a pot on the stove and begin to cook over medium-high heat. As the sugar starts to melt it will clump into little sugar rocks. Begin to whisk it at this time. Keep whisking and it will start to melt into a liquid. If the sugar gets stuck inside your whisk, switch to a spoon for a while. Keep whisking and stirring until the temperature reaches 350 degrees or it’s a nice, deep amber color. Then, stir in your butter. Once that is fully incorporated, add your heavy cream and mix that in. Keep mixing until you can get all of the lumps out. Let this sit for about 10 minutes or so to set up. Now eat up! 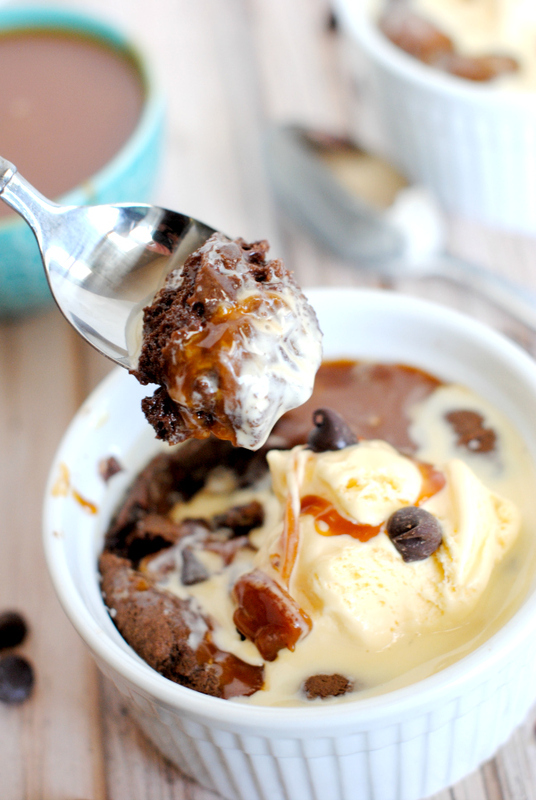 This chocolate caramel pizookie is about as good as it gets. 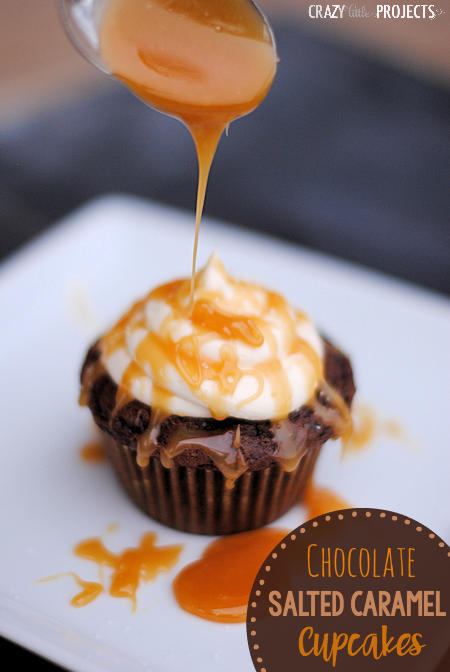 You had me with caramel….It’s pure evil :) lol but I LOVE IT – of all the recipes I’ve seen this week – this is the one I am going to make!! Oh I love to hear that! Hello¡ It looks delicious, thanks for sharing your recipe. I would like to share with you a variation in your caramel procedure. Mix together water and sugar but do not whisk, do not even stir, until it reaches the appropriate temperature, then move your pot out of the heat, pour in the butter and whisk, add then the cream and whisk it well; this way you may not find lumps in your caramel. Tried this tonight and it never really “cooked” like a cookie. The batter was very dry. Is there something missing from the recipe ingredient list? Like eggs? It was still good, though! Um whoops! Yes. Got that fixed! Oh my word! Yes! Thank you for catching that and letting me know! Yay!!! Now everyone can enjoy the yumminess!! !